Double Cleansing is the First Step to Your Routine, Not a Pre-Step. If you’ve been following beauty for some time now, you know the double cleansing technique really took the beauty world by storm a few years ago. It’s a technique that wasn’t just a trend — there are actually very good reasons you should be double cleansing, whether or not you wear a lot of makeup and whether you’re male or female. Yes, even men should be double cleansing. Why is cleansing so important, though? Isn’t getting skin clean the only thing that really matters? Dermatologists in Korea have a saying: “Get your cleansing step right, and half your skin issues will go away.” Peach & Lily founder and licensed esthetician, Alicia Yoon, has seen this personally so many times in her many years of experience — when people start cleansing properly, many of their skin issues start calming down. Why is this? Or, maybe, more importantly, what is “proper” cleansing? The Korean approach to everything skin is to be gentle, and cleansing is no different. The double cleansing technique not only helps remove impurities and grime from your skin; it does so very gently. That means that the natural skin barrier isn’t compromised with harsh cleansing and that skin isn’t stripped dry of all oils, including the good, beneficial oils that help protect skin and keep it balanced. Gentle cleansing means that skin is cleansed while also being nourished, balanced, and hydrated, which helps prevent skin from being irritated or becoming sensitized. So what is double cleansing? And why is it appropriate for all skin types, even oily types? Let us break it down for you. 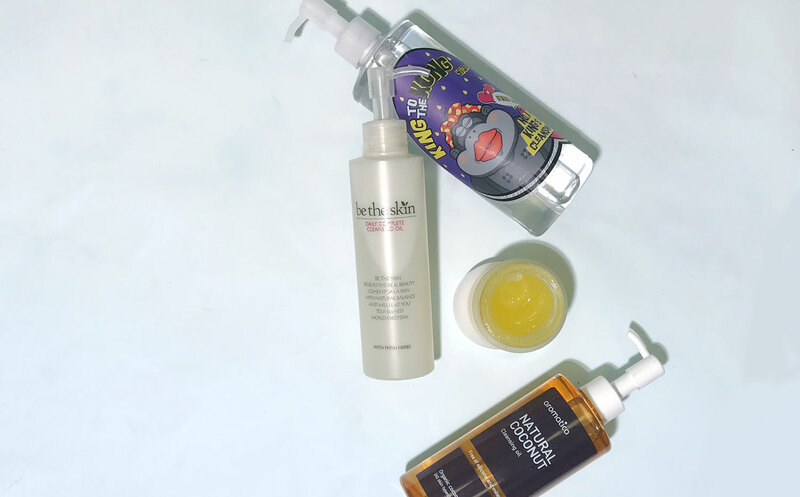 Oil-based cleansers get at oil-based impurities, like makeup, sunscreen, and excess sebum, and they do so gently without disrupting the oil balance in skin. It’s important to remember that not all oils are bad, and it’s not good for skin to be cleansed in a way that leaves it squeaky clean, feeling tight and dry because all the oil has been removed. Oil-based cleansers are a good alternative to makeup removers that can often be drying because the oil in an oil-based cleanser does a few things — it goes deep into pores and draws out all the trapped gunk; it dissolves and breaks down makeup, sometimes even stubborn, waterproof makeup; and it sweeps away any excess sebum. It doesn’t stop there, though — an oil-based cleanser also hydrates and softens skin, and it won’t strip your skin of the beneficial oils that keep your skin healthy and your sebum production balanced. The underlying principle beneath the double cleansing technique is two-fold and simple: oil and water just don’t mix, and like attracts like. Working off that principle, oil attracts oil, so oil-based cleansers are able to go deep into pores and draw out the oil and gunk that collect there. However, not all impurities are oil-based; we also need to remove water-based impurities from skin like sweat, dirt, and grime because those, too, can clog pores, which, in turn, can encourage oil and gunk build-up in pores. A water-based cleanser helps cleanse the impurities that oil-based cleansers can’t, and following up an oil-based cleanser with a water-based one also helps sweep away any remaining residue from the oil-based cleanser. 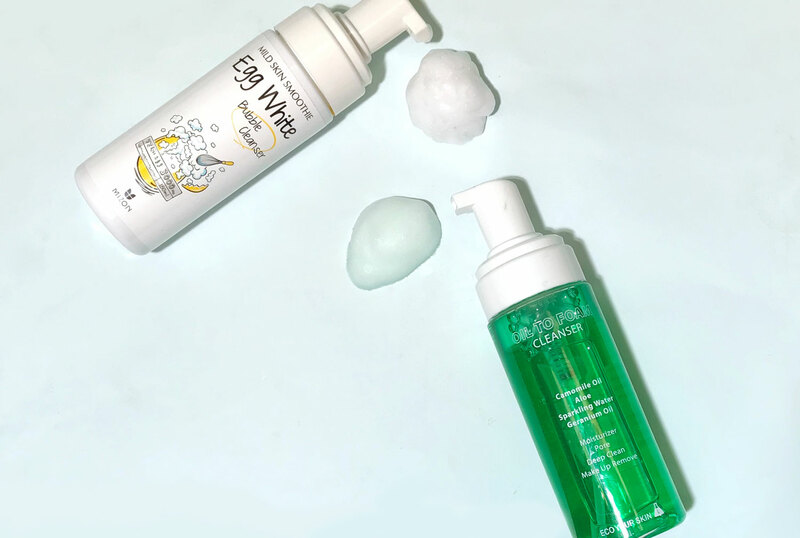 The two cleansers combined thoroughly cleanse skin, and, hopefully, because you’re opting for gentle cleansers, they also help hydrate, nourish, and protect skin, prepping it for all the steps that follow in your routine. Now that we’ve broken down the two steps for the double cleanse, let us answer a few very commonly-asked questions. Q: Do I need to double cleanse morning and night? Ideally, yes — you might feel the double cleansing technique isn’t necessary in the morning because all you’ve done is, well, sleep. However, your skin doesn’t stop producing oil overnight just because you’re sleeping, and you do want to cleanse off the products you layered on the night before. It doesn’t hurt to double cleanse in the morning to make sure your skin starts off the day on the best possible foot. Q: Is it possible to over-cleanse my face? Yes, but over-cleansing typically happens when you use a harsh cleanser that strips everything from your face. 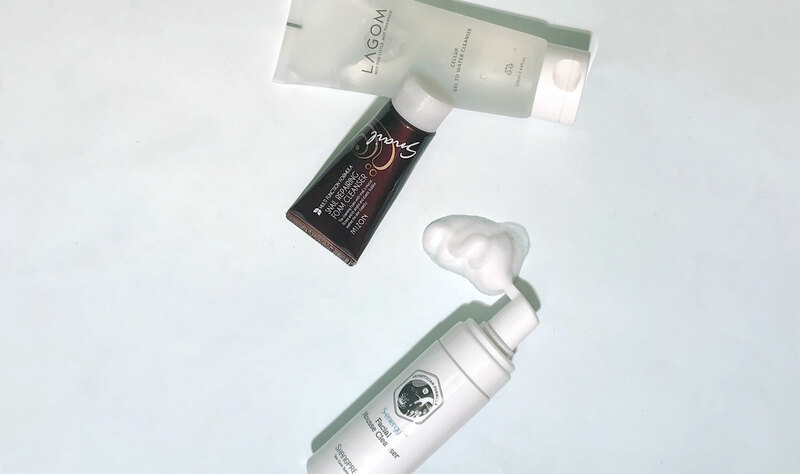 Double cleansing twice a day shouldn’t lead to over-cleansing unless you’re using cleansers that are too harsh for your skin — and it’s essential to remember that you have to find the right oil-based and water-based cleansers for your individual skin needs. An oil-based cleanser that works great for, say, your best friend might be too strong or, even, too oily for you. That doesn’t mean you should give up on oil-based cleansers altogether! As with pretty much all things skincare, working toward radiant, healthy skin is about listening to your skin and finding the right products for you. Q: What if I’m feeling lazy or tired and want to simplify things? We all have those days! That’s when we love to use this other category of cleanser we call hybrid cleansers! Sometimes, you just have to cheat. That’s okay; we all have those days. Luckily, there are fantastic hybrid, 2-in-1 cleansers out there that combine both steps of the double cleanse into one product. That means that they’ll help cleanse away both oil-based and water-based impurities at one time. “If these hybrid cleansers exist, then why not just use them all the time? Why spend money on another product and use that extra time to double cleanse?” you ask. You could, but it’s like we explained in our article about skipcare — you’ll be able to maintain basic general skin health with a hybrid cleanser, but, for radiant, glass skin, it’s worth taking the time to do a thorough double cleanse. Your skin, in the long run, will thank you for that extra attention.